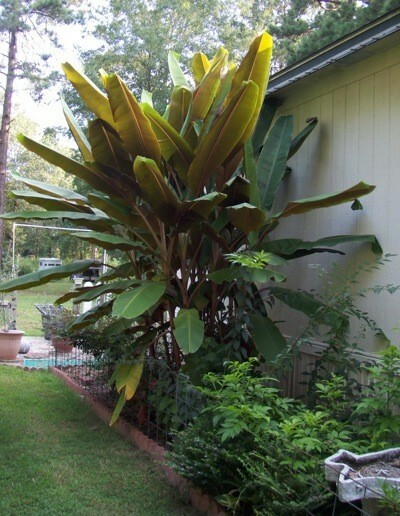 This banana tree is four years old and has very small bananas on it. I was lucky to take this picture because this year in January, we had 7 inches of snow (which is very strange for East Texas) and it was killed by the snow and cold. I was heartbroken. Took me a while to find another and now it will be another four years.